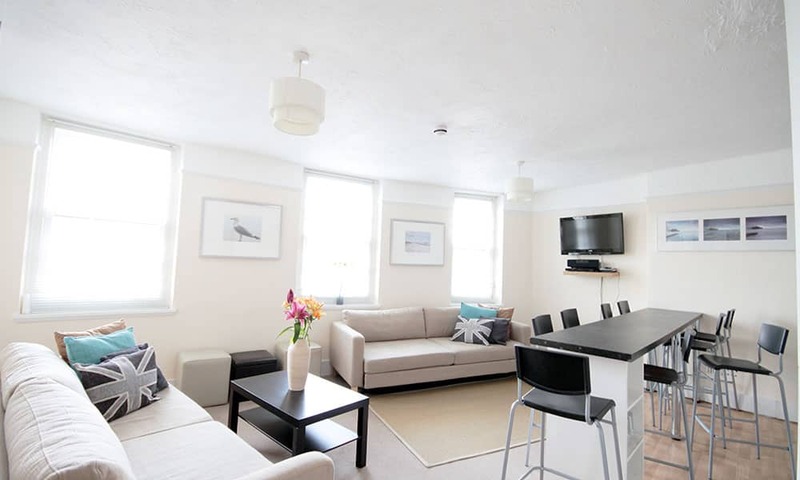 The Brighton contemporary self catering property is a unique 2nd floor apartment situated above The Cornerstone in a central location and is accessed through its own front door on street level. 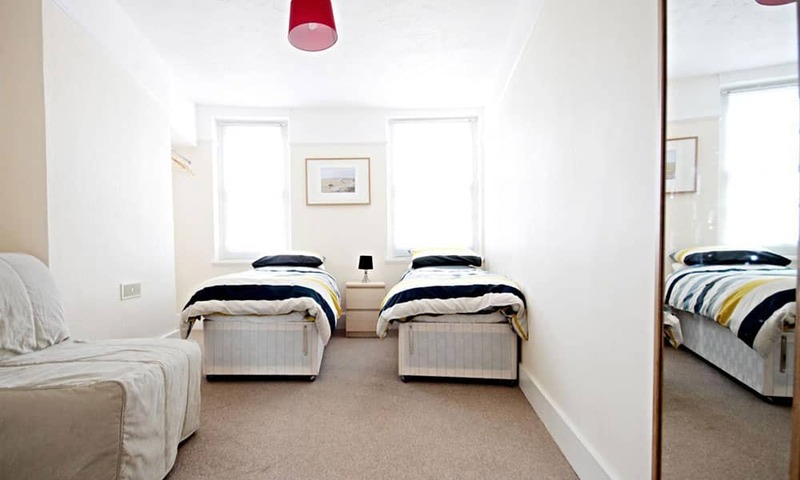 Only a 15 minute walk from Brighton Pier and The Lanes! 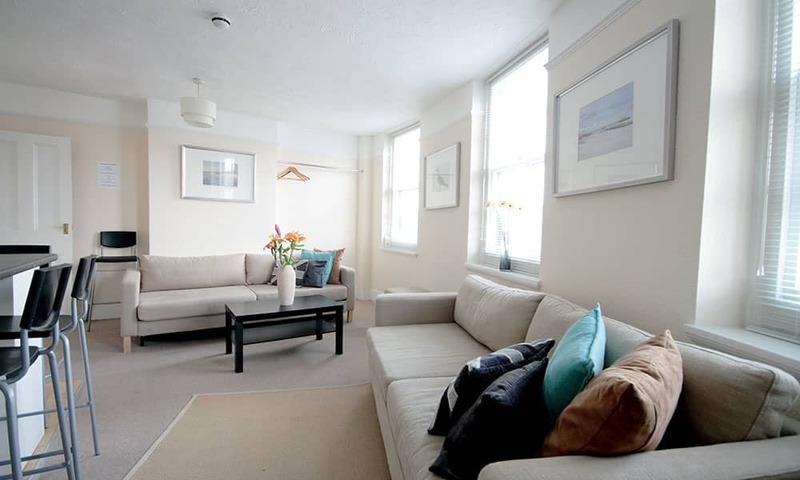 The flat is ideal for groups mainly because of its proximity to The Lanes and central Brighton, but it also works really well for extended families who want to explore the area. This area is great for car owners too as there is free residential street parking just a few minutes away. This large room is dominated by the three large windows which brightens the room along with producing fanastic views of the seaside city. 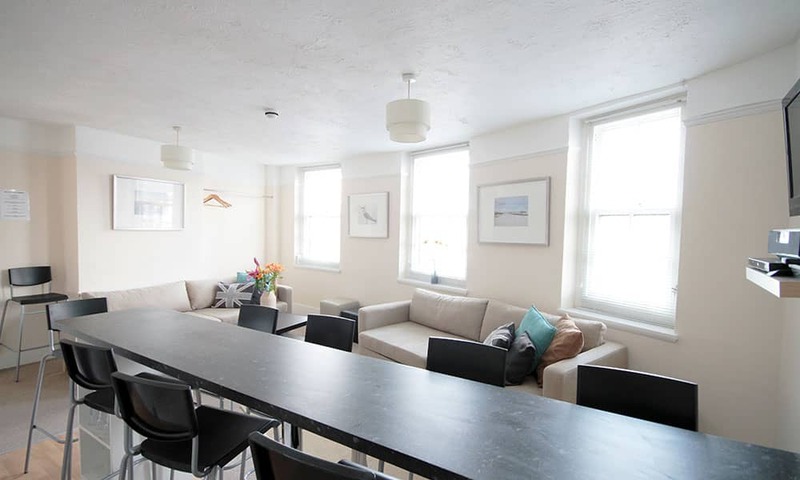 With two large sofas and additional stools this is a great space for catching up together as everyone starts to arrive, as well as a relaxing place to enjoy a quiet morning coffee as your group rallies itself from the night before. The room also has a large breakfast bar with stools which comfortably seats 10 people for dining. 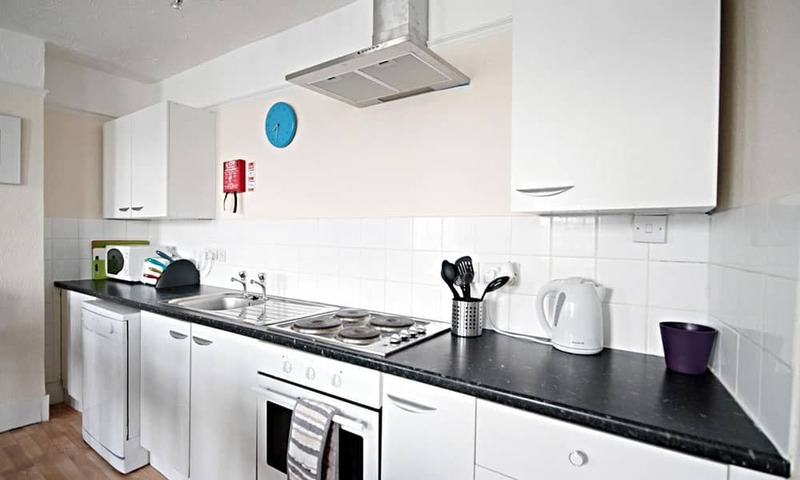 The kitchen has everything you need to cater for large numbers, including the crucial dishwasher. It also has an oven, hob, fridge freezer and all the cooking utensils you would need for a self catering break! 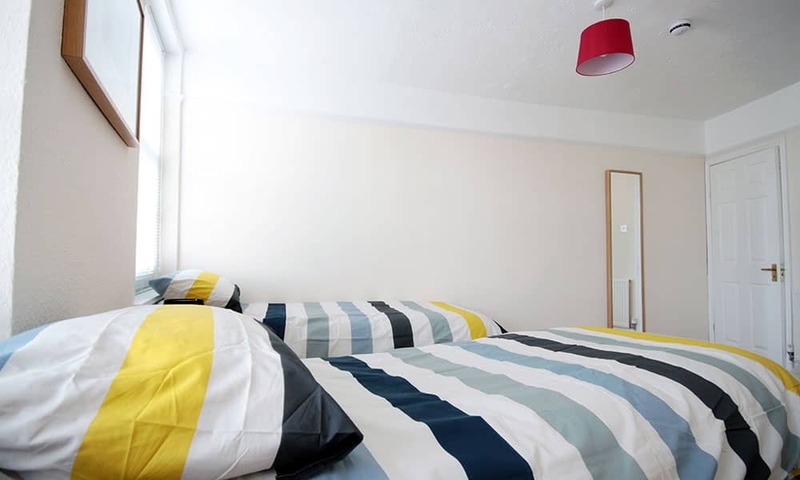 The flat offers two shower rooms and WCs (as well as a separate sink unit in the larger bedroom)  meaning groups can get ready two or three at a time for the all-important night out . 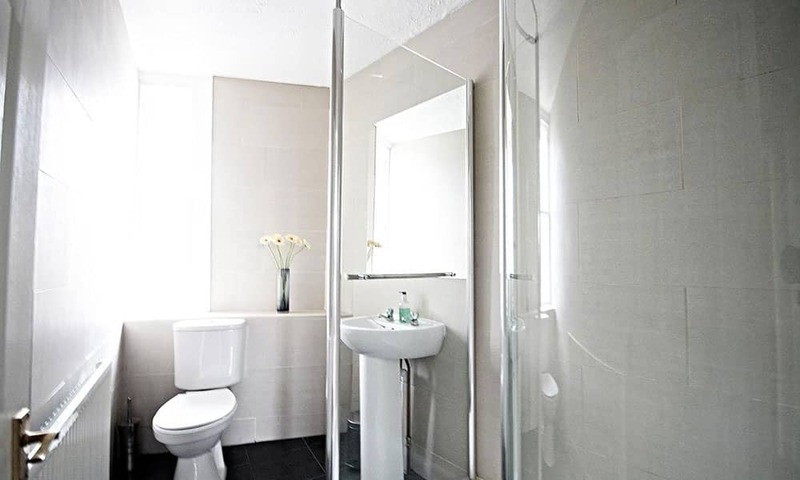 (This bathroom also offers a washing machine for your laundry requirements.) 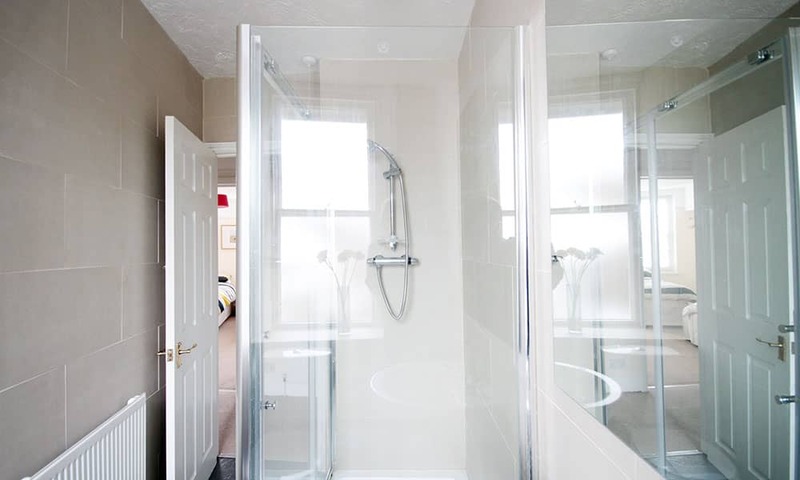 These bathrooms are both smart and modern with modern stylish fittings and windows to the rear of the building. 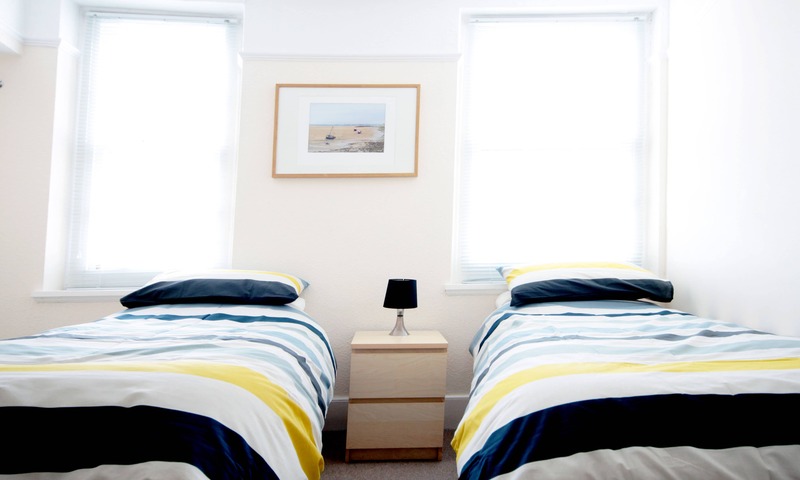 This room has the additional sink unit and has beds for 4 people  two beds being full-sized bunks and two other beds being available as either a double or two singles as suits the group best. This bedroom offers three more beds with the same layout as the second bedroom and again can be configured to suit your requirements.